Photograph of Gregory Swanson. 1950. 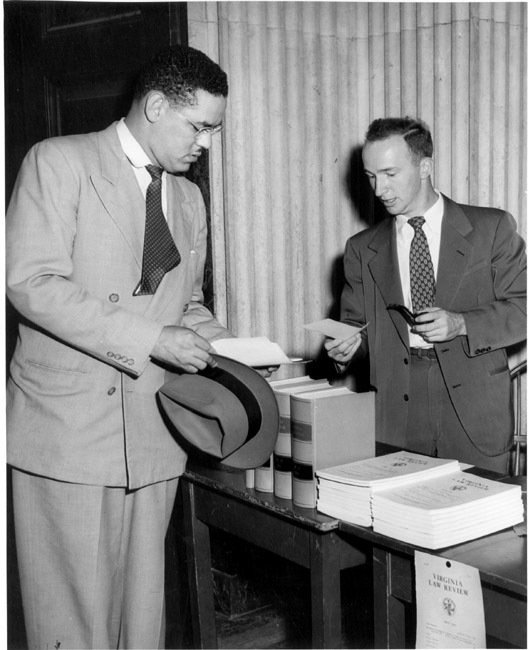 In 1950, Gregory Swanson, a Howard University graduate and practicing lawyer, applied to take graduate courses in the Law School. The law faculty met, found him qualified, and unanimously voted to admit. Dean F.D.G. Ribble forwarded the Law School resolution to President Darden who requested legal opinions from both Ribble and the State Attorney General J. Lindsay Almond. Ribble replied that he had "no doubt but that the Court would hold the Virginia segregation statutes invalid...." Almond advised that "refusal to admit...cannot be successfully defended in court." Nevertheless, the Board of Visitors denied his application. Swanson appealed the case before the U.S. Circuit Court of Appeals, won, and enrolled. Photograph of Walter N. Ridley. 1953. By that time, the School of Education had already quietly admitted Walter N. Ridley to its graduate program. Swanson left the University after a few months. 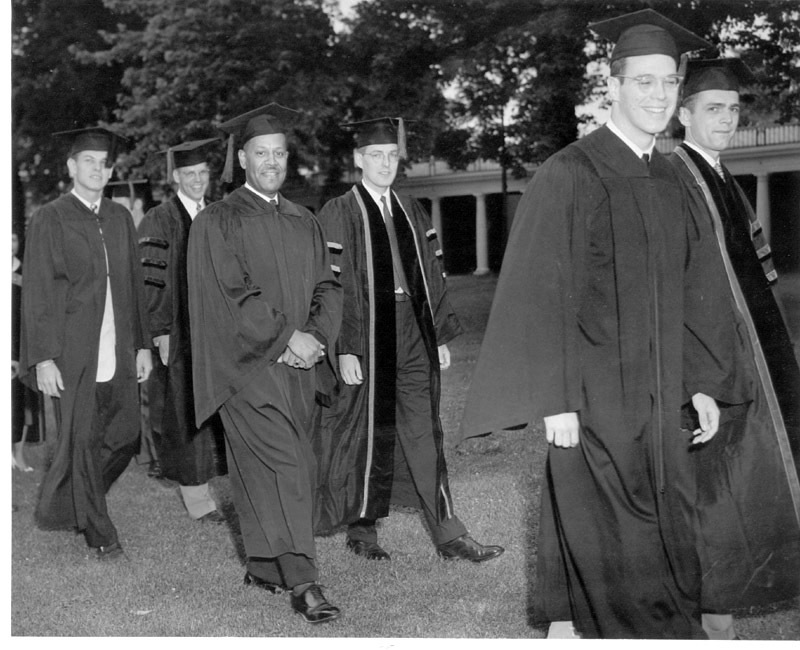 Ridley stayed and earned his doctorate, the first African American to receive a University of Virginia degree.